A nice fat bumper 320i with rough paint and used looking interior. 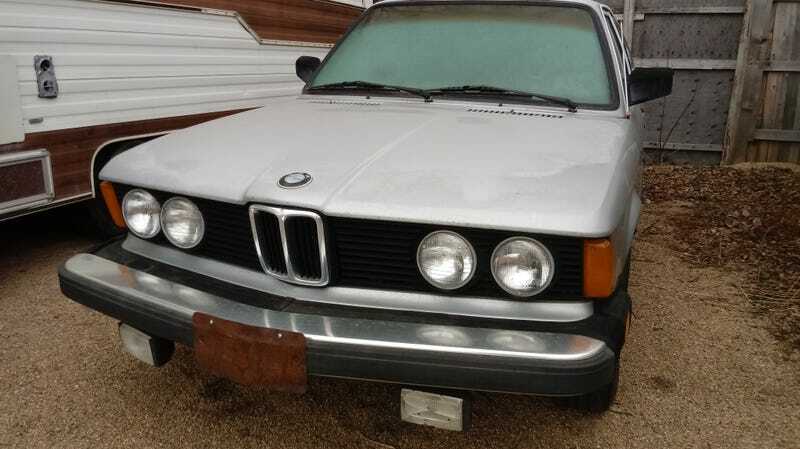 Something we might restore if it werent a 320i that takes 12 seconds to 60. But inside...a 6-speed shift knob? A 6-speed swap, surely not for the origional slow engine. I wonder what the end product will be. This looks fun. If its yours, yes ive reason to be back there. My projects under the tarp in the other corner. awesome start. Would love to know more.